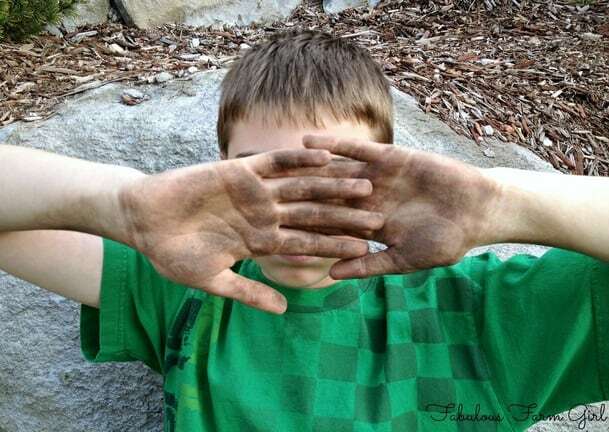 Hands get dirty. In fact, your hands are the germiest part of your whole body. Washing your hands with soap and warm water is the best way to get your hands clean but unfortunately you can’t always get to a sink. That’s why I carry this Alcohol-Free Hand Sanitizer with me at all times. As the mom of three boys it’s important to have a quick and easy way to disinfect their hands, even when I can’t send them to the boys room. Just think about all the thousands of things you touch every day, most of which have never been washed. Door handles, shopping carts, light switches, remote controls, computer keyboards, gas pump handles, escalator rails, vending machine buttons, toilet flush handles, elevator buttons, ATM and credit card keypads, money, your cell phone and, dirtiest of all, other people’s hands. Yuck! So what are you doing to protect yourself? Do you just whip out your bottle of hand sanitizer and squeeze out a blob? That should take care of all those germs, right? Wrong! Just step away from that antibacterial hand sanitizer you bought at the checkout lane and no one will get hurt. Triclosan—any product with a label that says “antibacterial” likely contains triclosan. While triclosan does kill bacteria, it doesn’t protect against fungi or viruses including the ones that put you in bed for a week. To make things even worse it also helps bacteria become resistant to antibiotics. Yep, it helps create superbugs. Oh yeah, it’s also a neurotoxin, endocrine and hormone disrupter in case that sort of thing matters to you. Parabens—conventional hand sanitizers are loaded with these chemicals. They are added to most personal care products that contain water to prevent microbe growth. Parabens have been linked to endocrine disruption, reproductive toxicity, immunotoxicity, neurotoxicity, skin irritation and even cancer. No thanks! Synthetic Fragrance—if your hand sanitizer has a nice smell it’s probably loaded with toxic chemicals. And because fragrance is considered proprietary, companies don’t have to tell you what they actually are. 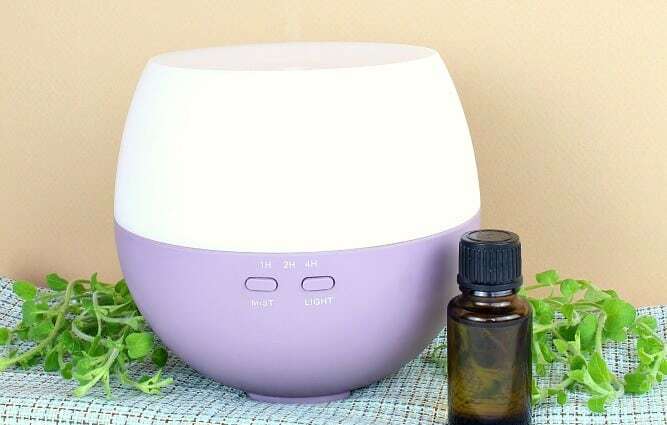 The EWG has stated that “fragrance mixes have been associated with allergies, dermatitis, respiratory distress and potential effects on the reproductive system.” Seriously?? 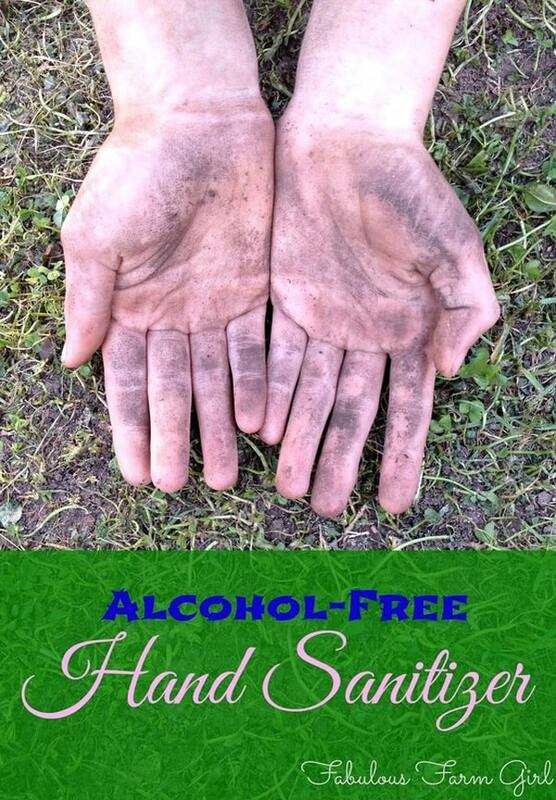 Alcohol–if a hand sanitizer is alcohol based it must contain a minimum of 60% alcohol concentration and can contain much higher. Alcohol is very effective at killing bacteria, fungi and some viruses but the downside is that it’s mostly…alcohol. Start noticing how often your kids have their fingers in their mouths or lick their fingers and you might reconsider. At school, most teachers require kids to use hand sanitizer before lunch and after every trip to the bathroom. That’s a lot of opportunities to lick alcohol.So what’s a farm girl to do? You guessed it–make your own homemade version without all the yucky stuff. Essential Oils–the combination of EOs in this hand sanitizer protect against environmental and seasonal threats and promote healthy immune function. Aloe Vera Gel–known for its healing properties, aloe vera is also antibacterial, anti-fungal and antiviral. 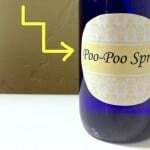 It is a natural cleanser due to the presence of saponins. 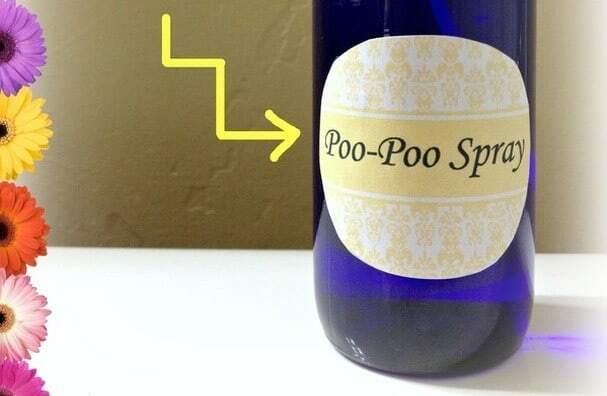 Witch Hazel–astringent, antibacterial, antiviral, anti-inflammatory and antiseptic. 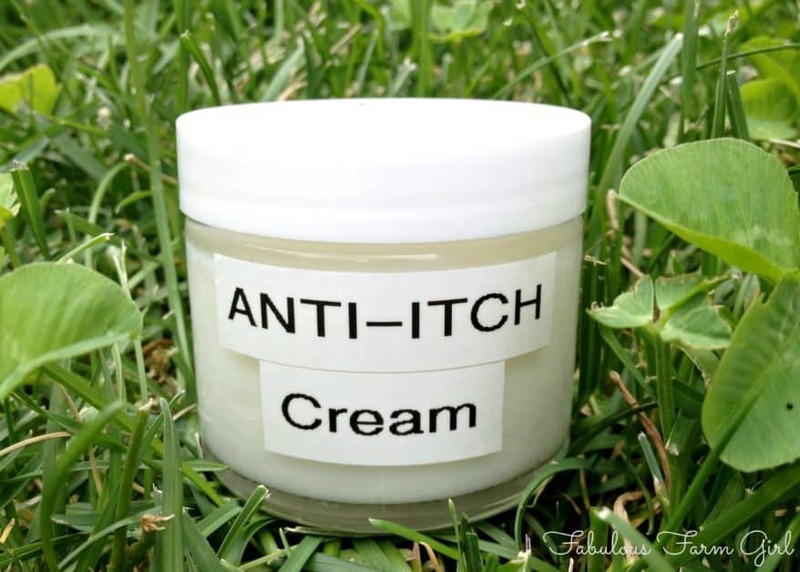 Contains tannins which are very useful in protecting the skin against bacterial attacks. Vitamin E–a fat-soluble antioxidant that is essential for the maintenance of healthy skin. Water–used here to loosen the final product making it easier to pump out of the bottle. Experts agree that washing your hands with soap and water is still the most effective way of killing germs and preventing the spread of germs to other people. 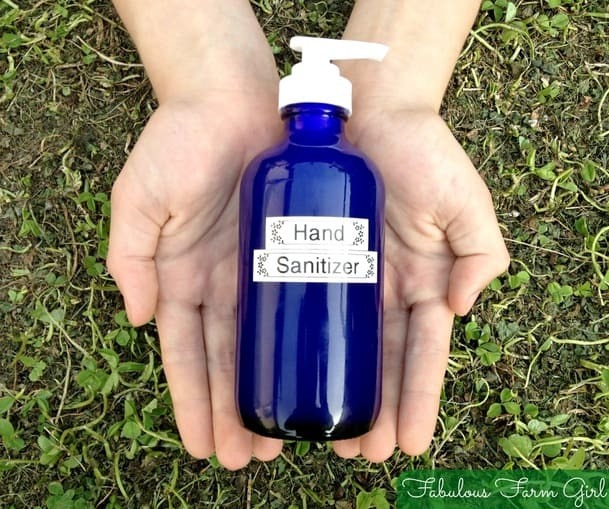 Hand sanitizer should be used only when you don’t have access to soap and a sink. But when we’re out somewhere and there’s no sink in sight, I’m glad my family has this alcohol, chemical and toxin-free hand sanitizer to help keep germs, bacteria and viruses at bay. Mix all ingredients in a small bowl. Put into glass pump bottle with a funnel, pushing mixture through with a spoon. Screw on pump top. Use as needed. Thank you for this I can’t wait to try it. You’re welcome, Erin! You’re gonna love it. Have a great week. This is great! I would really like to make my own hand sanitizer for all the reasons you listed. Stopping by from #SITSBlogging. Thanks Bev! It really is a cinch to make and works like a charm. I highly recommend it. Have a fabulous week! Is it possible to replace Aloe Vera with Aqueous Cream? Hi Aves–thanks for your question. We don’t use aqueous cream here in the U.S. although I know it’s popular in the United Kingdom. Form a consistency standpoint I think it would be okay but as far as its benefits or precautions, I can’t really say. If you can buy 100% Aloe Vera Gel where you live or order it on the internet, that would be my recommendation as it has wonderful benefits for your skin. Have a great day! Thanks for linking up with the Homestead Blog Hop. 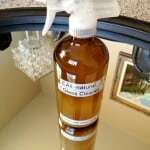 I know whenever possible we should use glass especially with citrus EO. But do you think keeping some of this in portable plastic containers (purse sized) would be ok? I’m hoping that there is enough dilution that it will hold up. Hi Anne–thanks for stopping by. Not only do I think it will be okay to put this hand sanitizer in plastic portable containers, I do it myself. When it comes to eating plastic it is really just the citrus oils that are the problem.The wild orange is already diluted in the OnGuard blend since it is combined with 4 other oils and then it is diluted much further in this recipe with the aloe vera, water and witch hazel. You should be fine putting it in a plastic travel size container. Have a great day! Is there any substitute for the white fir oil in this? Thanks Melissa–that’s really sweet of you to say! 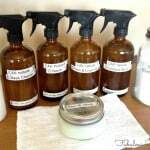 I you don’t have white fir you could use lavender, rosemary, eucalyptus or clove just to name a few. hope that helps. Great recipe! I’ve been looking for something like this. 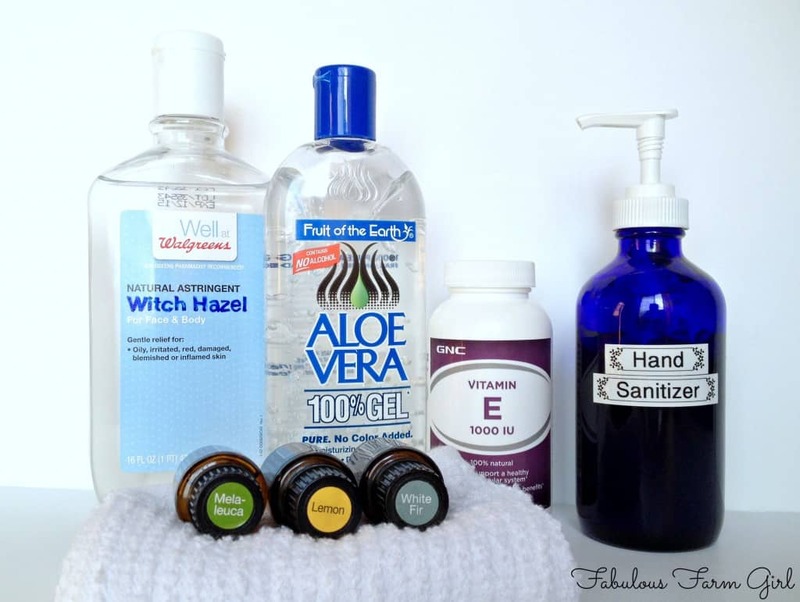 Where do you get alcohol free witch hazel? All the stuff I find has about 14% alcohol. Thanks! HI Rhianna–you can get alcohol free witch hazel from Amazon. My favorite brand is The Homestead Company Witch Hazel Distillate which is alcohol and fragrance free. Thayer’s brand is also alcohol free and has an unscented version. Hope that helps.